With both Intel and AMD having launched completely new platforms from top to bottom in both the mainstream and HEDT markets this year, we've seen an upgrade in the base speed of DDR4 that should be used now. Unfortunately, that means the majority of memory kits that are on the market today do not natively support the default memory speeds of our latest processors, neither by JEDEC or XMP profiling. 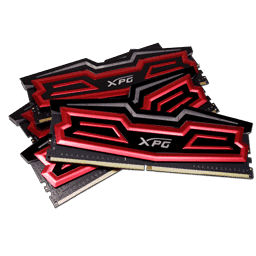 I mean, sure, we've got some DDR4-2666 MHz kits out there, but most have a default spec of 2133 MHz and some sort of XMP profile or what-have-you to get to their rated speeds. Well, until now. ADATA is the first manufacturer to provide me with sticks that support a native JEDEC "safe mode" profile at 2666 MHz, while also offering an XMP profile for higher speeds and/or timings. Today, we'll be looking at one of these kits from the ADATA XPG SPECTRIX series. These DDR4 sticks not only support 2666 MHz at their minimum, they also include RGB lighting (ASUS AURA SYNC software for settings), which does seem to have become a regular thing as well, whether you like it or not. Personally, I don't mind the RGB madness that has come to quite literally every PC product these days. Rather than go all super-fast with speeds and such this time around, I asked ADATA to just send me a base 2666 MHz kit, wanting to see what they offer even at what would be considered the "low end" in terms of speed these days. 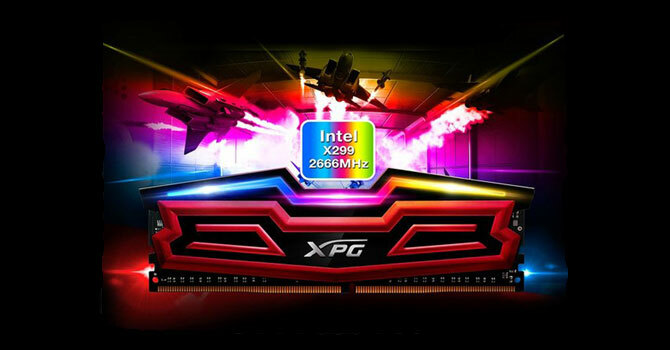 This particular specification of the XPG SPECTRIX sticks has an XMP profile built in with reduced timings at 2666 MHz only, making it a way to "run stock" while getting a bit of added performance without running boosted voltages at all. That makes it nearly the perfect option for those not wanting to mess around in the BIOS, and with many enthusiast boards now sporting a hardware-based toggle switch to enable XMP profiling, you truly never need to enter a motherboard BIOS ever again if you don't want to.